Yesterday, I ran out of ideas of what to cook for lunch (baon) today. We already had menudo and pork chop plus fried chicken all through the week, so I wanted to give my husband a reward by cooking another recipe from my list. 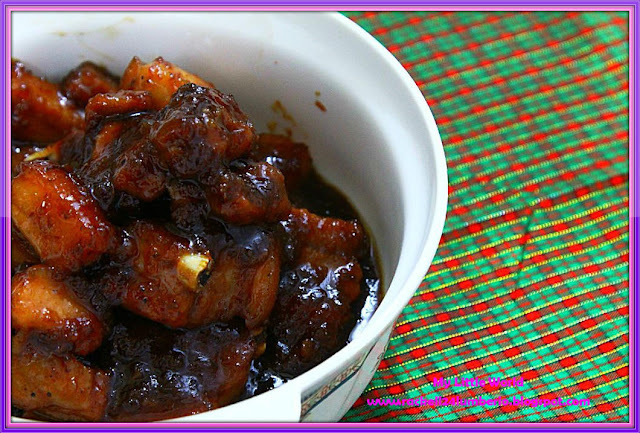 By the way, I found this recipe online which is really an easy one to cook. Since I am free to make my own version of Pork Binagoongan, I will increase the amount of pork to my heart’s content. 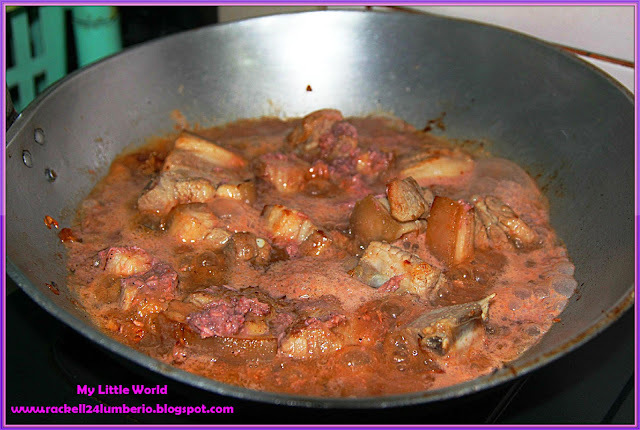 This version of pork binagoongan is a quick and easy one, promise! Less salty but nonetheless very delicious. It is a sure fire way to boost your appetite so get the extra servings of rice on the ready. (#Yabang mode) Haha. 1. Heat oil in a saucepan. 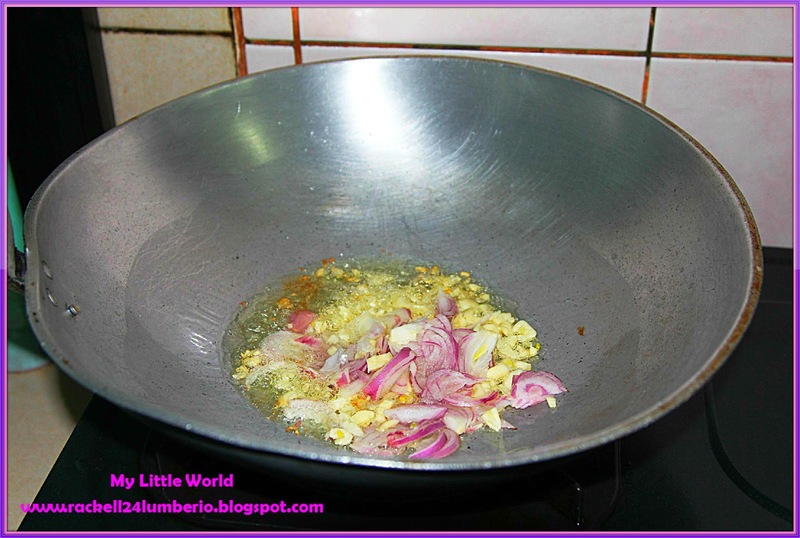 Saute garlic and onion until softened. 2. Add lechon kawali and sauté until light brown in color. 3. 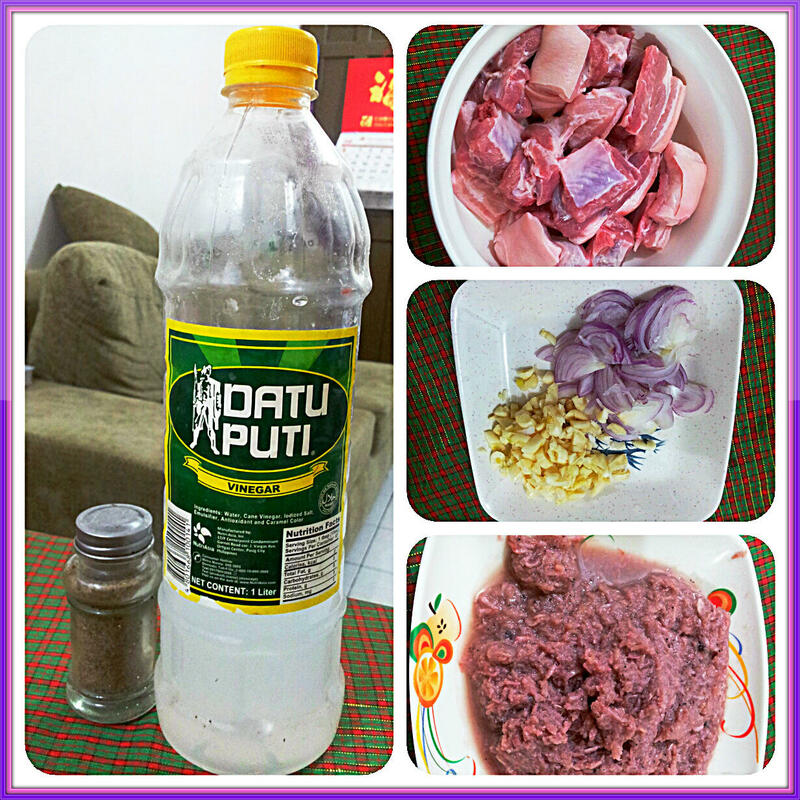 Add alamang, vinegar and water. Let simmer (do not stir) and cook until liquid is reduced. 4. Season with pepper and sugar if desired. 5. 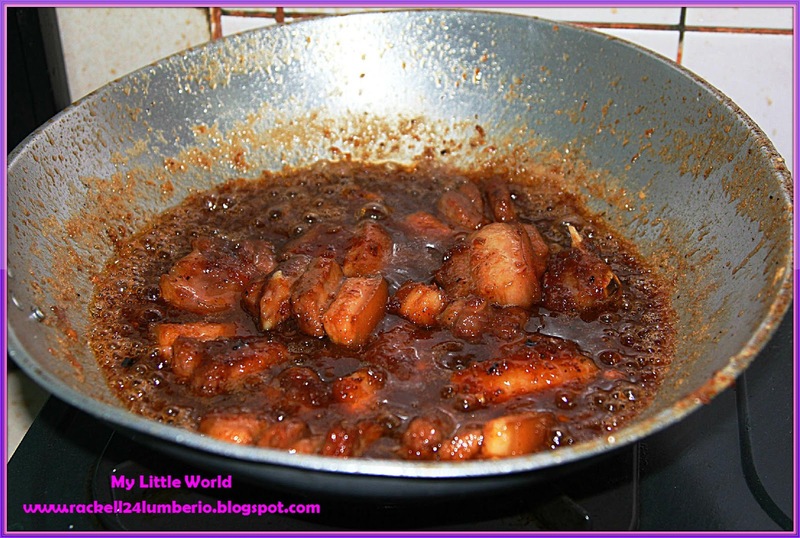 Continue to cook until mixture caramelizes. 6. Serve hot with rice. This dish is a simple Filipino dish made out of crispy pork pieces dressed with bagoong sauce, a good dish paired with garlic fried rice but you don’t have, plain hot white rice is enough. If you want to try it out, I must warn you as the flavours of this one are salty and sweet. 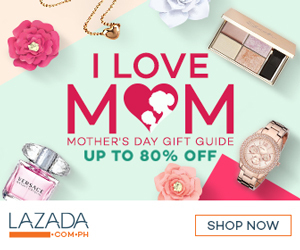 Kakaiba noh! I put large amount of sugar on my pork binagoongan. (Mas type ko yung medyo matamis na maalat). 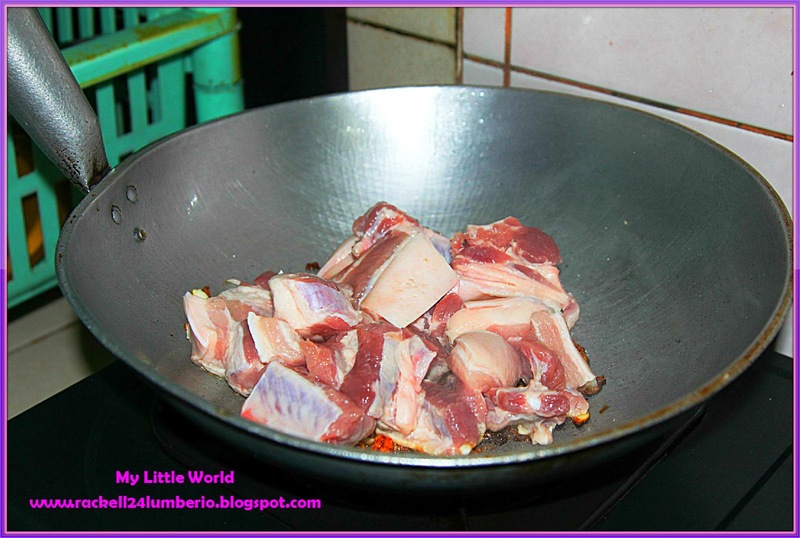 One small piece of pork will be more than enough for one heaping spoon of rice. The smell will be also unpleasant for others, a piece of advice - cook with wide open windows and doors and have your range hood in full blast.